Infusing olive oil is really quite simple. Choose an olive oil that isn’t too expensive – after all, you’ll be altering the flavor of it significantly. Choose the lightest kind available if you want it to take on most of the flavors of the infusing ingredients. On the stove: Put the oil and infusing flavors in a saucepan, and let the mix heat for about five minutes. Allow it to cool and strain the ingredients out before putting the oil in a decorative bottle. Depending on the size of the particles, a regular strainer or a cheesecloth will work best. Bottle it in an airtight container, like one with a cork. In the oven: Put your oil and flavors in a bowl or on a baking sheet and bake it for about 40 minutes at 300 degrees Fahrenheit. Let the mix cool, and strain the ingredients out before bottling it. Many people keep herbs and other ingredients in the olive oil bottles if they’re gifting it because it looks pretty. However, keeping these things in the oil will cause it to get cloudy. While this won’t affect the taste, it will end up being less aesthetically appealing. Your infused oils will be good for about a month if kept properly in the refrigerator. So if you’re giving them as a gift, don’t make them too far ahead of time, and let the recipient know how long their oil will last. It’s also important to remember that while regular olive oil is ideal for frying, infused olive oil isn’t, especially if the herbs or spices are left in there. These ingredients will burn quickly. 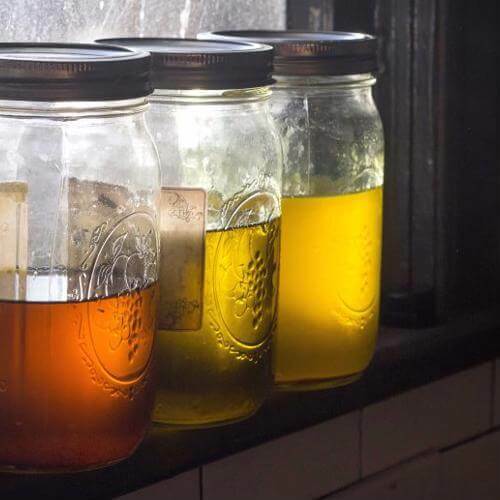 If you’re infusing your oil with anything that holds moisture, like fresh herbs, vegetables or fruit peels, or garlic, be sure to refrigerate them once they’re in the olive oil. 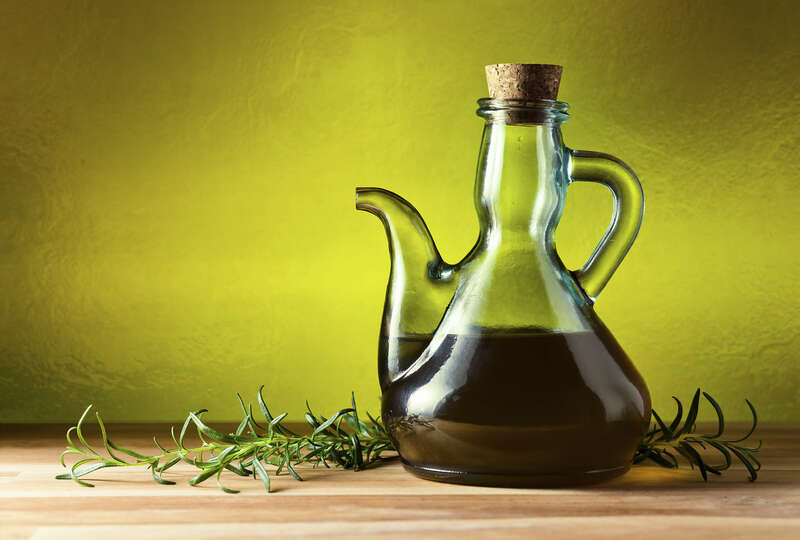 Preserving the ingredients in vinegar before putting them in the olive oil is a good way to prevent bacteria growth – it may alter the taste of the olive oil, though. Your best bet is to select dried ingredients. If you’re using herbs or dried peppers, simply put them in a food dehydrator or leave them out in the sun before putting them in the olive oil.